Recently, Fiore & Barber represented a client who was charged with forgery, (felony) access device fraud (felony) and receiving stolen property (misdemeanor) . If convicted the client could have been sentenced to significant jail time. The factual basis for the case was unfortunate as our client was attempting to help someone and ended up in the wrong place at the wrong time. 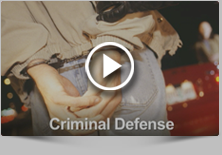 The criminal law attorneys at Fiore & Barber, LLC fought for are client and was able to prove that he was innocent to the charges issued to him.To discuss your case in a free and informative consultation with an experienced criminal defense lawyer at Fiore & Barber, LLC, simply call us at 215-256-0205 .